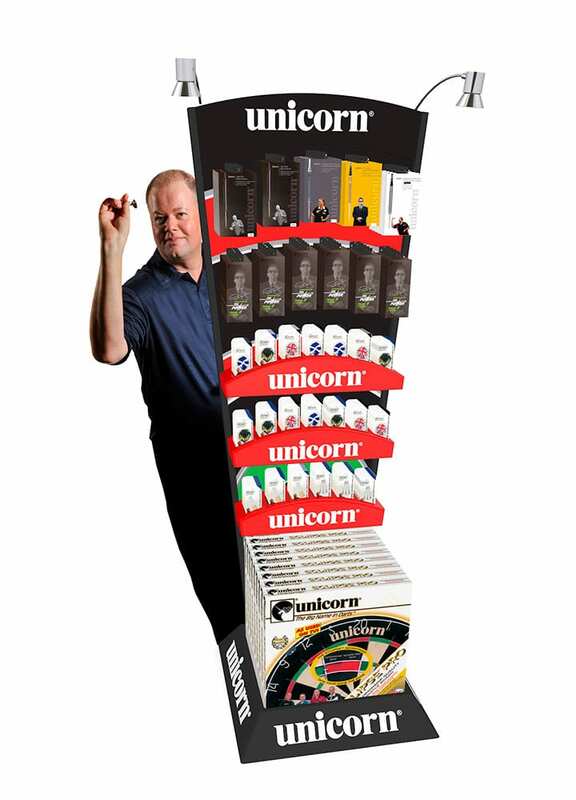 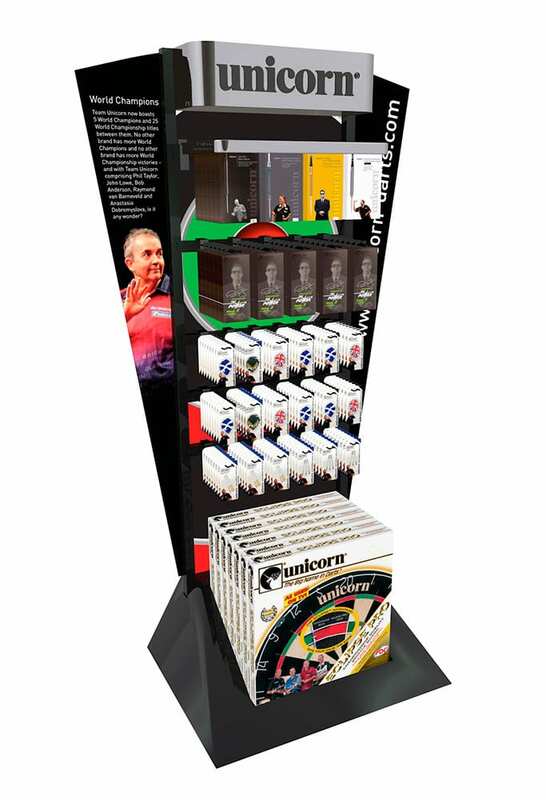 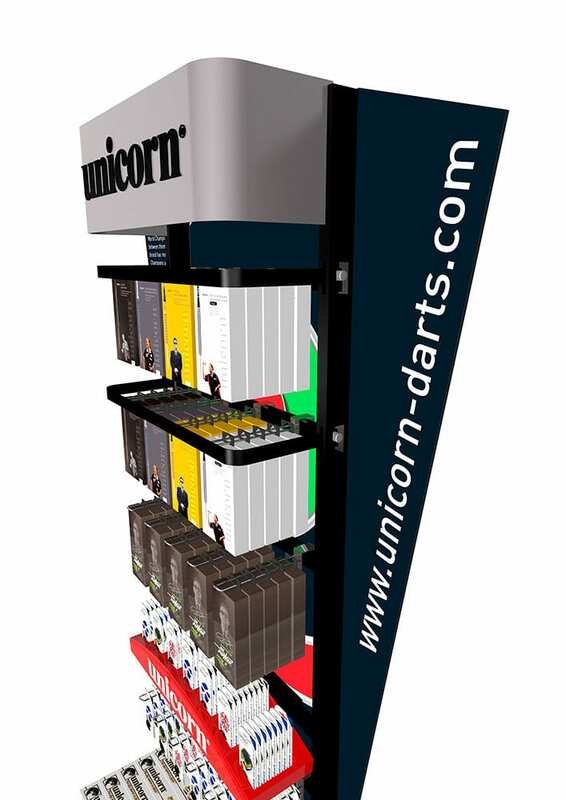 KSF was tasked with an extremely challenging brief to design and develop a new and innovative FSDU and Wall Display to compliment both their old packaging and new range of darts packaging and accessories. 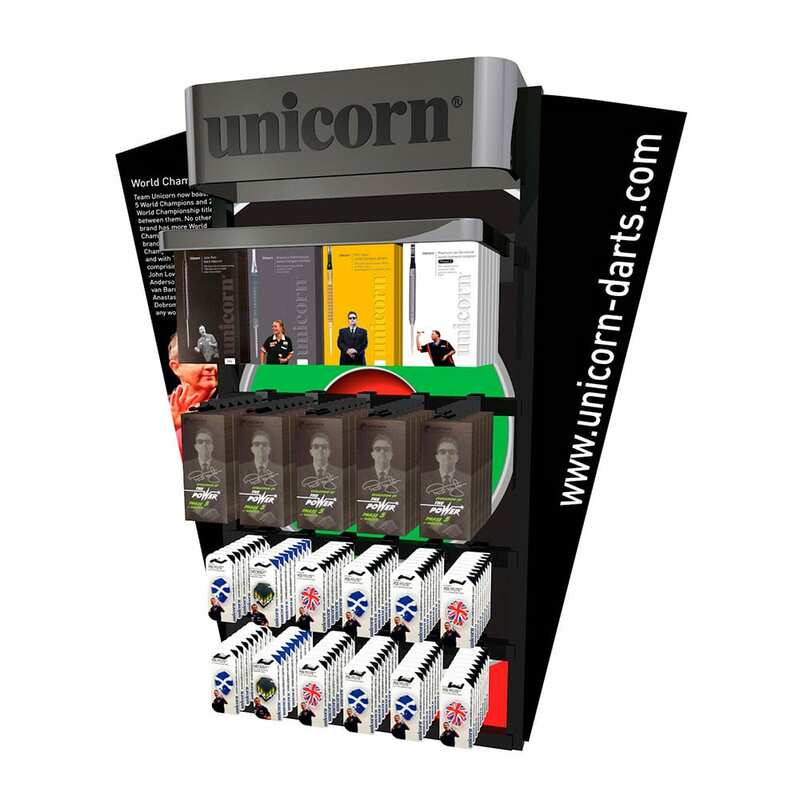 Their previous darts displays were considered bland, too restrictive in terms of stock loading and presentation. 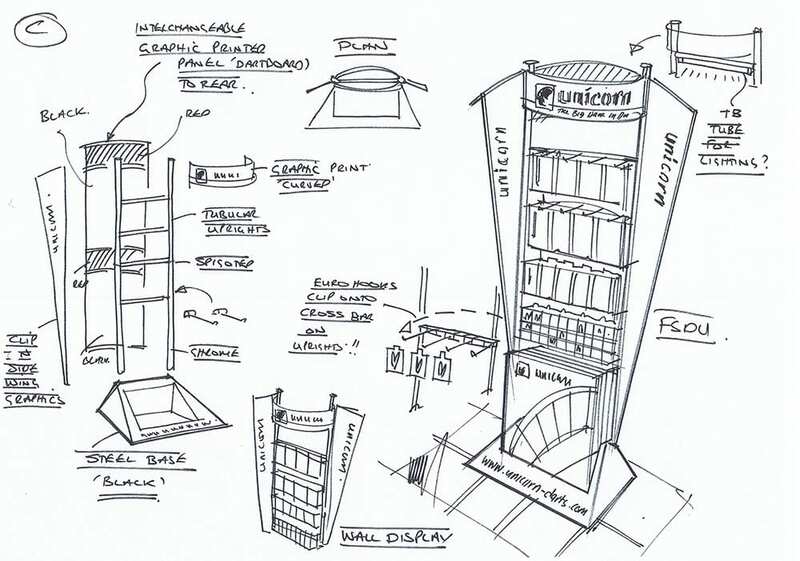 They were looking for inspiring ideas and an affordable solution. 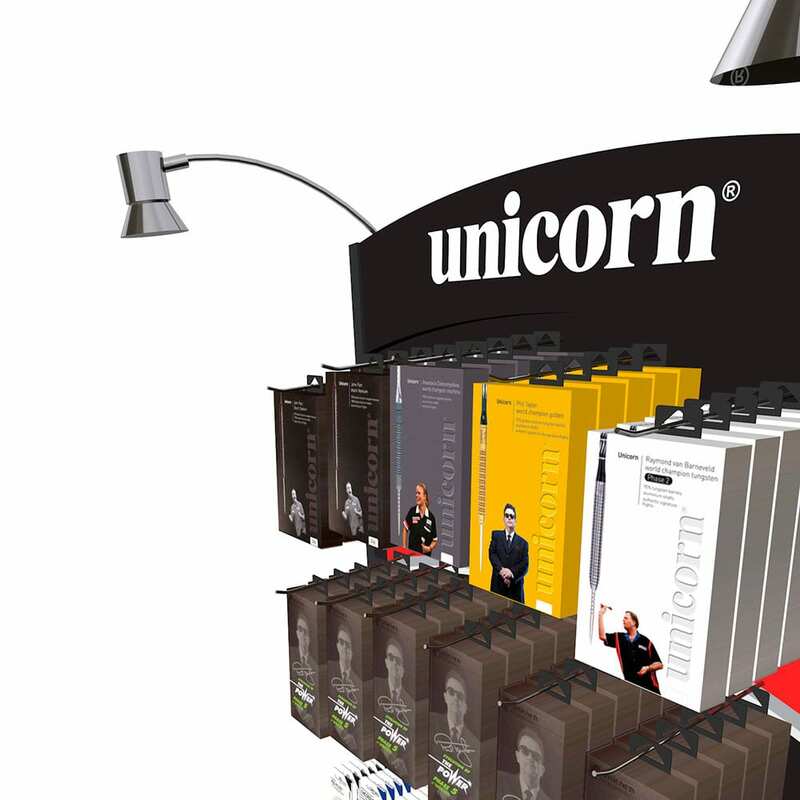 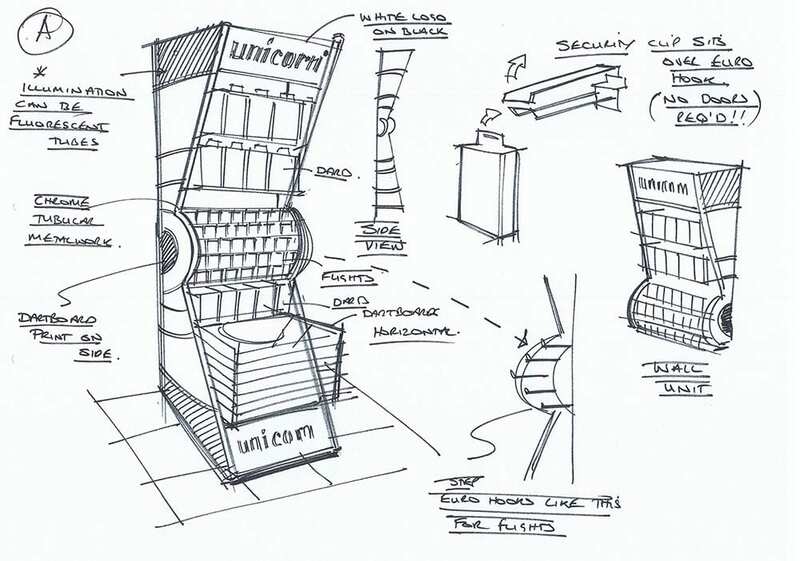 To make Unicorn products stand out from the crowd! 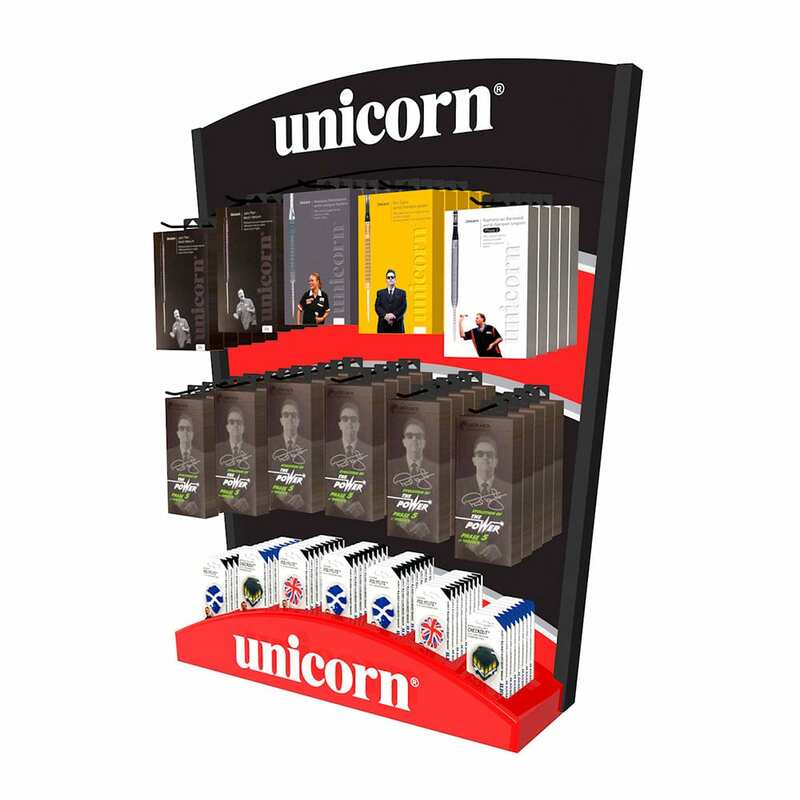 The displays had to be flexible, fully updateable, have visible security but also retain full visual presence of the Unicorn products instore. 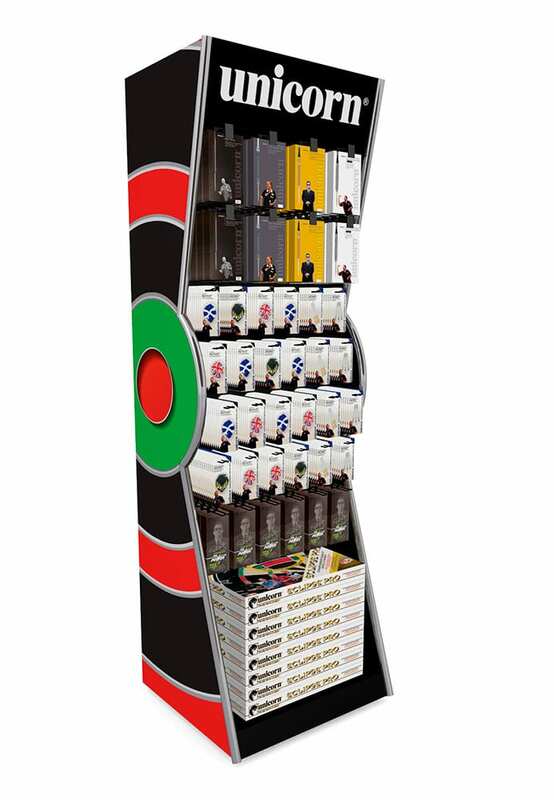 Product flexibility, display density, security and accessibility were key factors, the displays had to merchandise both the 2012 stock and the new 2013 stock, with different packaging, sizes and display configurations.